Auckland boss Mark Anscombe has taken over as coach of the New Zealand Under-20 side prior to next year's Junior World Championship. Anscombe succeeds Dave Rennie in the job, having played a supporting role in their last three victories at the tournament. He joined the setup as a development coach three years ago before stepping up to assistant coach for their last two triumphs. 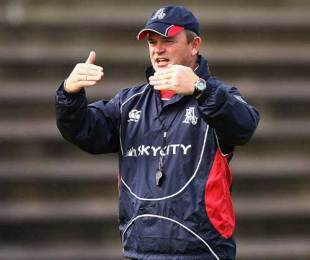 Former Sharks and Wellington assistant coach Chris Boyd has been appointed as Anscombe's assistant. "Mark has been involved in three very successful campaigns and we saw him as a natural fit to step up into the head coach role," New Zealand Rugby Union general manager Neil Sorenson said. Boyd returned to New Zealand earlier in 2010 after two seasons with the Sharks in Super Rugby. Before that he spent six years with Wellington in various roles, including time as coach of the development and academy teams and four years as the assistant coach of the Wellington Lions.